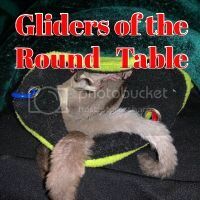 Register Log In GliderCENTRAL Forums Breeding & Babies And the pouch spillith over. My sweet Hazel is so close to having her twins officially OOP. I am in complete awe at her skills of keeping those little boogers in pouch. She is obviously out of room. Her two bumps seem so huge I'm shocked she is still able to cruise around or walk at all. Definitely waddles though. She even still hops from branch to branch however the distance has definitely decreased from her usual agility. So cute to see black tails or a foot peeking out. So scary when one rolls over in there and the whole pouch gapes open and I can see the entire Joey until that pouch closes again. Well almost closes again. 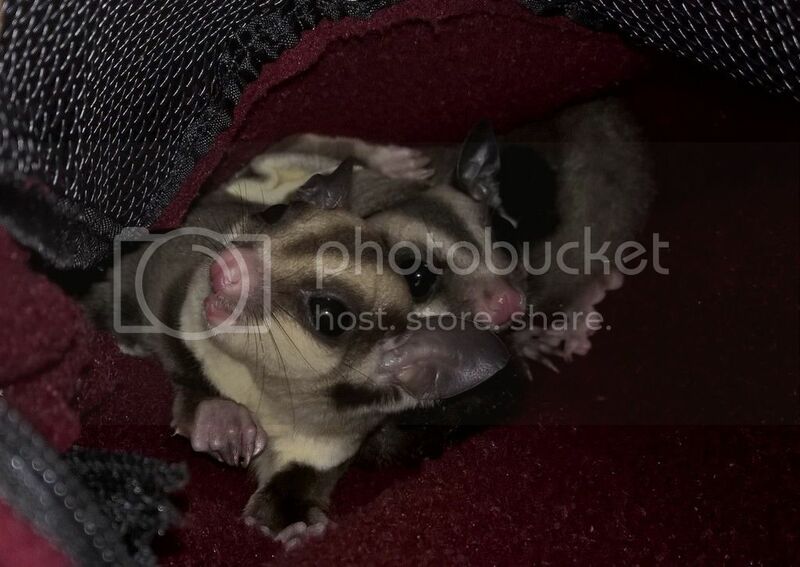 The new arrivals are too big for the pouch to completely close anymore but at least it's enough to hold them in. It's amazing to watch. Singing has begun yesterday so I'm sure they will soon detach. I hold my breath while watching her as I fear they will just fall out at any moment. She obviously knows better than I as she seems to know when to stop and hang by two legs and use her arms to adjust them and shove them back in. I could watch her all day. Oops I mean all night. They have arrived. One little girl and one little boy. Both look really good. I just weighed them and they both weighed in the same. 11 grams each. I have a trio so while mom was out grabbing a drink and a quick bite and dad and auntie were left in charge I did the quick snag to see if they were boys or girls and what they weighed. Cannot wait for pictures of these little ones. How are you trying to post them? Can you provide the exact steps you are doing and also any and all error messages you may be getting it may help us to assist you. Hi Phil and Karen. I'm not ignoring you. Thanks in advance for the offer of help. I'm thinking this weekend of working through this with you. I have to be in the right frame of mind due to my previous frustrations. I also need a nice pocket of time where I'm not running out the door to work. Ill reach out again Saturday or Sunday with what I've been doing. Here's a question to think on before we chat again.......... Might it be my device. Can I do it from an iPad, or iPhone or does it have to be a pc? I will be in touch. If I ever get this figured out you guys are in for a real cuteness overload. I've been dying to share pictures of my photo shoots. Quick update on the twins. Both had a birthweight is 11 grams and at the 5 days OOP mark both are still weighing in at the same 14 grams. I'm super happy. Mom, dad and auntie are doing a fabulous joint job of raising these little bundles. The are both strong and looking very well hydrated. I was worried as these are my first Joeys from my trio. Mom (Hazel) is sure verbally bossy to all but I guess that's why everyone knows what to do to help her out. So cute to see mom and dad (Taeo) out and about and auntie Pecan (aka Pigsey) with her head peeking up out of the bag with that look on her face of how the heck did I end up being the one stuck on twin duty. Might it be my device. Can I do it from an iPad, or iPhone or does it have to be a pc? IMO, some devices do make it more difficult if not impossible such as a phone. I'm not sure about the iPad but think it might be more user friendly. Have you tried using Photobucket which is the easiest way to post photos? I agree with Karen, some devices could make it more difficult for sure, but what they are I don't have a list or anything like that either. Yes I am. What's your thoughts on that? Issue? 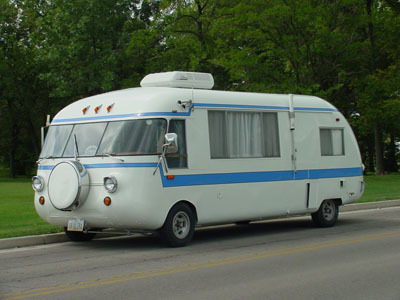 Yeah, I always had problems trying to move media around in Safari. Throw Chrome on your device and try that. It could be the problem, I myself use Firefox. Maybe it is just me, but I've had zero issues with Safari. I use Photobucket when posting here. Just an update. The twins are doing fabulously. They landed the names Ollie and Alice. Both are 25grams at 20 days OOP. I'm super happy that they both are maintaining the same growth rate as it shows they are both getting fed. Soooooo fuzzy now. I love when they fur in. As this is my first set of wee ones from my trio I was a bit worried however they are doing fantastic. I can't believe how often momma Hazel and daddy Taeo are out playing while auntie Pecan takes on the babysitting task for them. Pecan has been amazing I think she actually does more child rearing duties than Taeo. He's getting off easy. It is fascinating to watch a family dynamic work, isn't it? These little ones can be so loving and caring with the joeys.